The following procedures must be followed when a student graduates at the end of first semester. Finalize Semester graduate list. Submit to counselors for verification. Notification to teachers, Semester graduate list. Letters sent to potential Semster graduates with last day of attendance information. Process Attendance Labels for Semester Grads before they are exited in Powerschool. 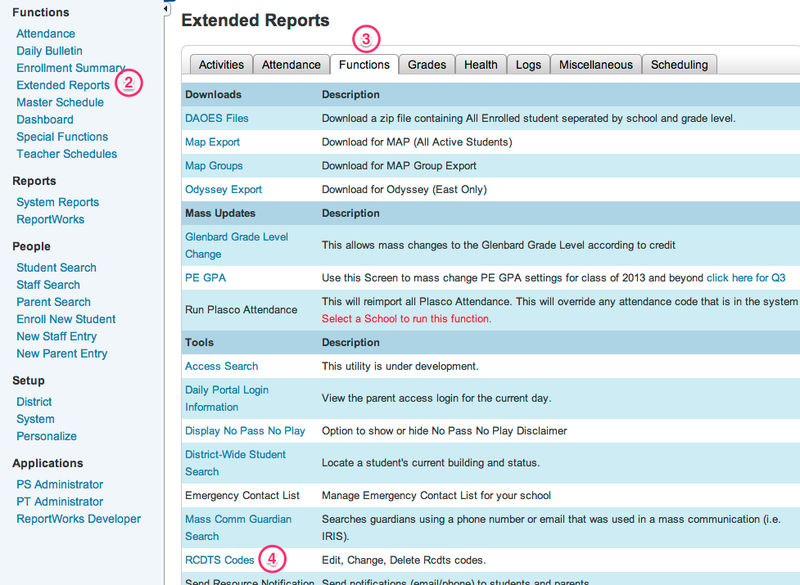 ALSO NOTE TO CHANGE THE EXIT DATE on the labels TO Semester GRAD DATE (i.e.12/22/2017) BEFORE PRINTING THE LABELS FROM THE ADA/ADM REPORT IN POWERSCHOOL. After semester grades are submitted to ISBE, submit webhelp ticket to data specialist for exit enrollment. Check to see if the student has a semester 2 schedule. If so, drop the courses before exiting the student. Course start/end dates must be within the student’s exit date. (Be sure to be in All-Year Term in the top right corner).